News > Psychopathic News > ICP working on “Forever” music video! ICP working on “Forever” music video! 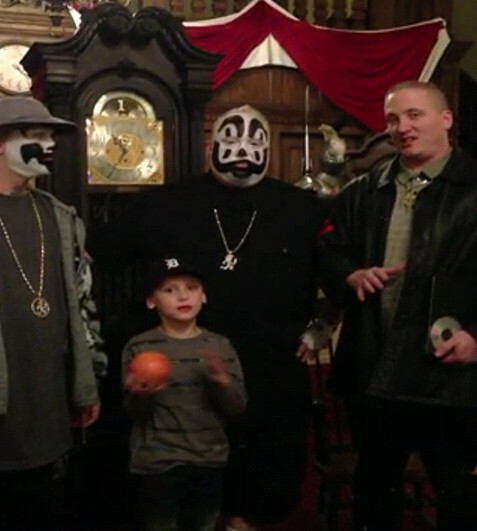 Of course that’s Violent J, Shaggy 2 Dope, Jumpsteady, and J’s son Violent JJ. Sugar Slam was behind the camera, and they were just talking about the venue they filmed from, and then said they were going to throw that giant grapefruit in JJ’s hands off of the roof onto the street. Nothing huge, but pretty fresh nonetheless! If you want the app for yourself, hit up the links below! My favorite song off the album, sweet! Dopeness! Bet it drops on Juggalo Day.